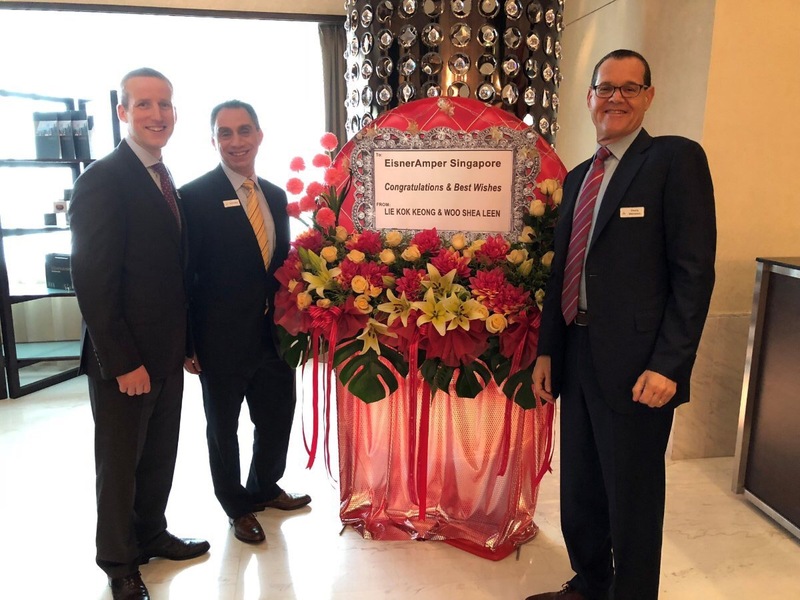 On Thursday, 19 April 2018, EisnerAmper Singapore (formerly Saw Meng Tee & Partners PAC) held its official launch in The Westin, Singapore. Speakers at the launch event included Saw Meng Tee, Managing Partner of EisnerAmper Singapore; Nicholas Tsafos, Director and Chairman of the Board of EisnerAmper Global; Alastair MacDonald, Managing Partner of EisnerAmper Ireland; and Charles Weinstein, Chief Executive Officer of EisnerAmper LLP. More than 200 people attended the welcome luncheon at The Westin and the event was hosted by Steven Chia of Chanel News Asia. 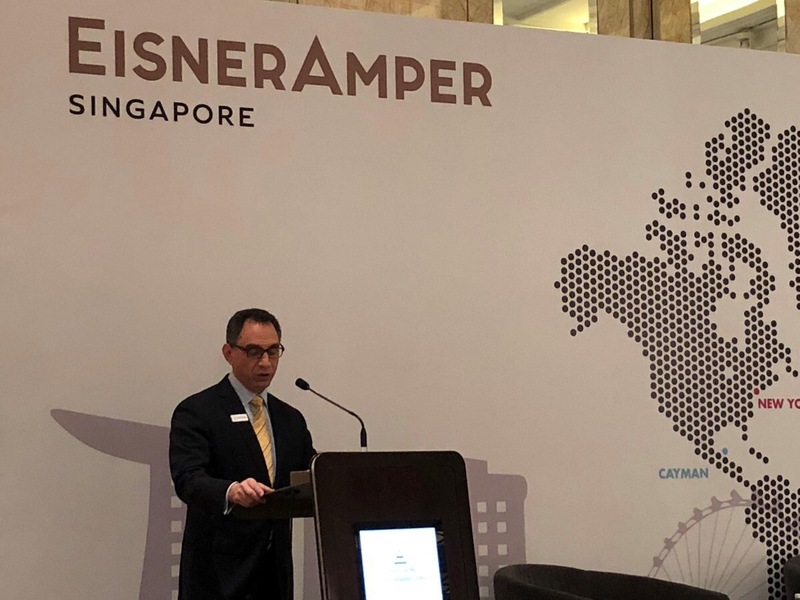 Attendees from Singapore’s Monetary Authority and Economic Development Board helped underscore the importance of this move for both EisnerAmper Global and the Republic of Singapore. The afternoon also included an informative Q&A session facilitated by Chia. EisnerAmper Singapore provides specialist accounting, advisory, outsourcing and risk & regulatory services to international and domestic clients operating in Singapore and across Asia. 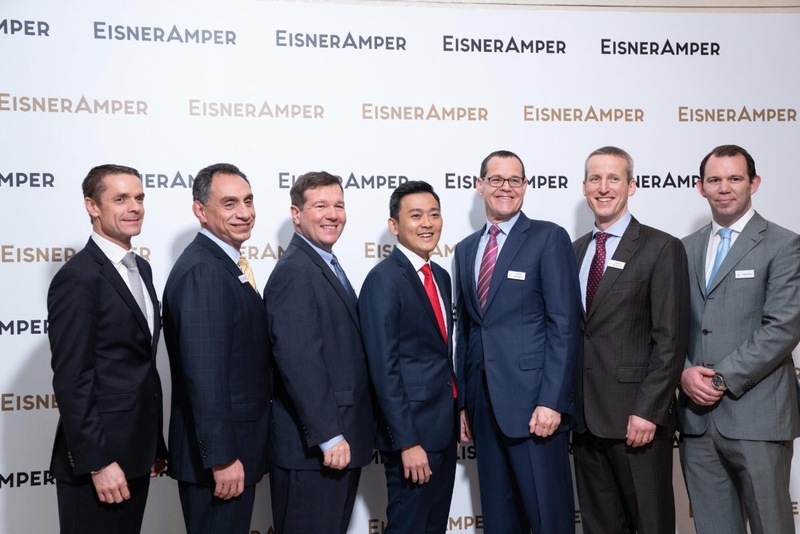 At EisnerAmper Singapore’s launch, Managing Partner Saw Meng Tee told guests “We have taken 18 years since setting up our firm in 1999 to reach this milestone and we would like to thank everyone for your support and patience as we grew. Thank you for supporting us through our rebranding”. 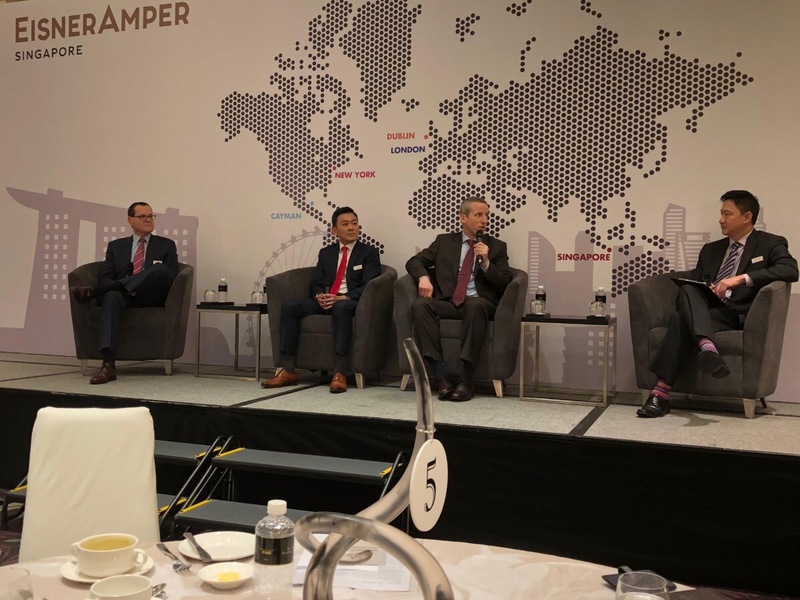 EisnerAmper Ireland and Saw Meng Tee & Partners PAC have been working closely together over the past two years to further develop existing ties between Ireland and Singapore. For further information o EisnerAmper Singapore, click here. Pictured above from left to right: Frank Keane, Partner, EisnerAmper Ireland; Nicholas Tsafos, Partner, EisnerAmper LLP (United States); Peter Cogan, Partner, EisnerAmper LLP (United States); Saw Meng Tee, Managing Partner, EisnerAmper Singapore; Charles Weinstein, Chief Executive Officer, EisnerAmper LLP; Alastair MacDonald, Managing Partner, EisnerAmper Ireland; and Gavin Lee, Head of International Trade, EisnerAmper Ireland.